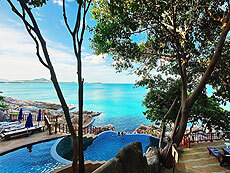 Located in central Chaweng beach, Al’s resort was newly reopened in 2008. The beach in front of the resort ideally has a reef edge. 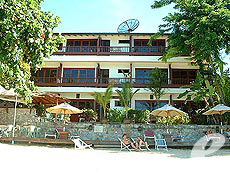 The swimming pool and villa type rooms are on the beach side, and reasonable apartment type rooms are on the garden side. 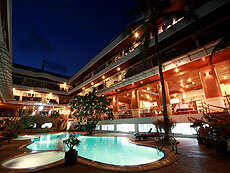 As the resort locates in the center of Chaweng, it’s very convenient for dinner and shopping. 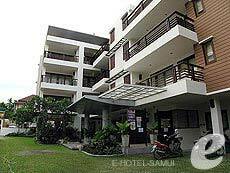 Samui First House opened in 2002, at the southern end of Chaweng Beach. The building is simple in design, but it offers affordable spacious rooms and a wide range of facilities. There is a swimming pool in front of the building, and just a minute walk to the beach. The hotel offers many categories of rooms from suites with s large balcony to inter-connecting family rooms. 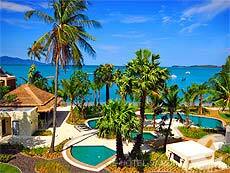 The Island Resort & Spa is an affordable resort offering separate and detached bungalows. 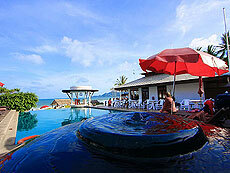 All bungalows have been recently renovated and there is a new swimming pool near the beach. 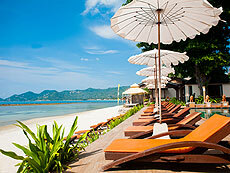 Located in the center of Chaweng Beach, it is perfect for those who enjoy shopping, dining, and nightlife.